Internet Download Manager as we said is the best download manager right now available as compared to any other download manager like DAP, Microsoft Lightweight Download Manager, Orbit and many others. 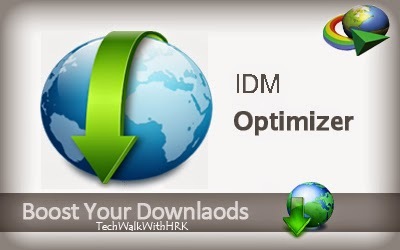 Well we just got our hands on IDM Optimizer, it’s a small utility which boosts your IDM speed by modifying some registry entries. like it will change Connection Speed, Connection type, Max Connection Numbers and some other few entries. So this is the Window you will see when you will fire up the IDM Optimizer software. So it has a simple Maximize Now button which when clicked will popup a note to restart IDM so that it can take effect. Well you can see it also has a Restore Default button which will restore all the settings which IDM came with. You can use that if you think that you are not getting good speeds. "do share this post with all your friends."